ZURICH, the biggest city & capital of Switzerland, offers magnificent view of the snowcapped Alps on the horizon, & unique attractions – over 50 museums and more than 100 art galleries, international fashion labels and Zürich designs, and the most flamboyant and lively nightlife in Switzerland. Recreational activities range from a visit to the riverside and lakeside bathing areas in the very heart of the city, to a spectacular hike on the Uetliberg mountain. Zürich is quick and easy to reach, whether by train, plane or private vehicle. Just a 10-minute train ride from the airport and situated right in the city center, Zürich’s Main Railway Station is regarded as a central European railroad hub. 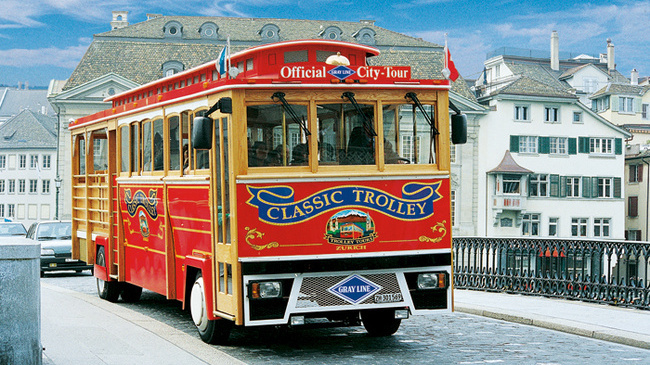 Experience the exclusive city tour by letting the unique “Classic Trolley” taking you on your discovery tour of Zürich. TAKE a Train to Uetliberg mountain & enjoy the views from there. BELOW is the AMAZING ride to the top of MT TITLIS (10,000 ft abv sea level) One has to take a cable car from Engelberg & then midway has to change to a special rotating trolley called ROTAIR that rotates & gives u view all around. Its breathtaking as u move slowly higher & higher over snow capped Alp mountains. Cable car ride from foot of the mountains at Engelberg. Half way up the mountains, change to ROTAIR & enjoy the snow views. 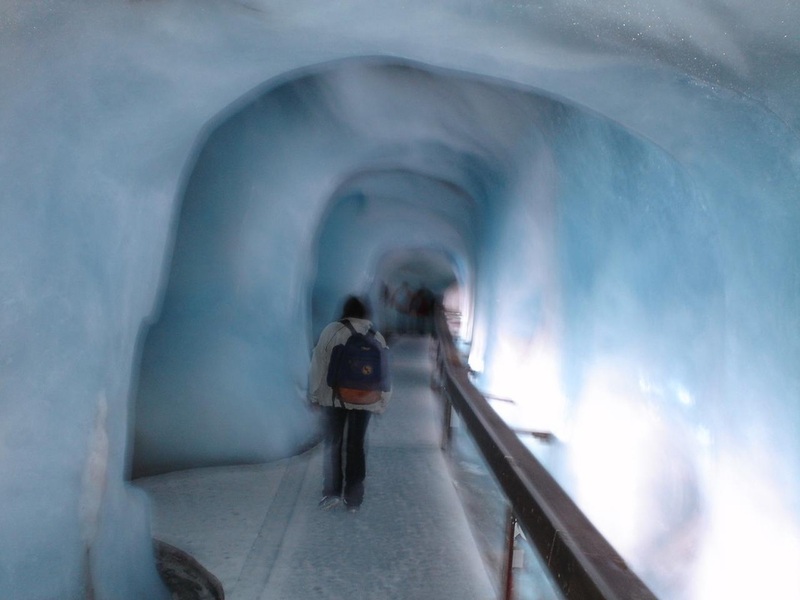 On top of Mt Titlis, one can enjoy skiing, or fun in the snow, have snacks in the restaurant, buy sovenirs & enjoy a walk in the snow cave as shown in the pic. Here is my most memorable vacation that I took with my family and visited some beautiful places in Zurich, the capital city. Go hiking or biking or sit in the double deck Swiss trains or Bahns & enjoy the amazing views of Alps, lakes & greenery.